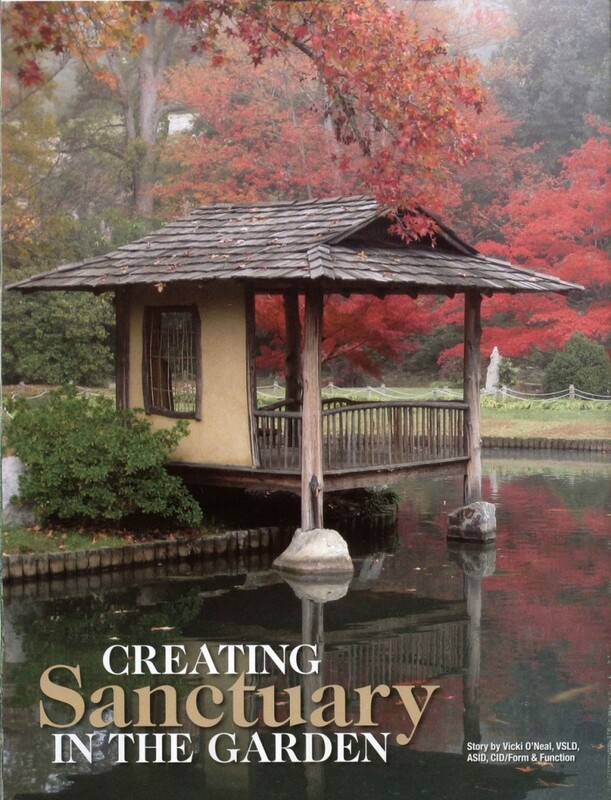 Creating Sanctuary in the Garden was written in the height of the economic recession. 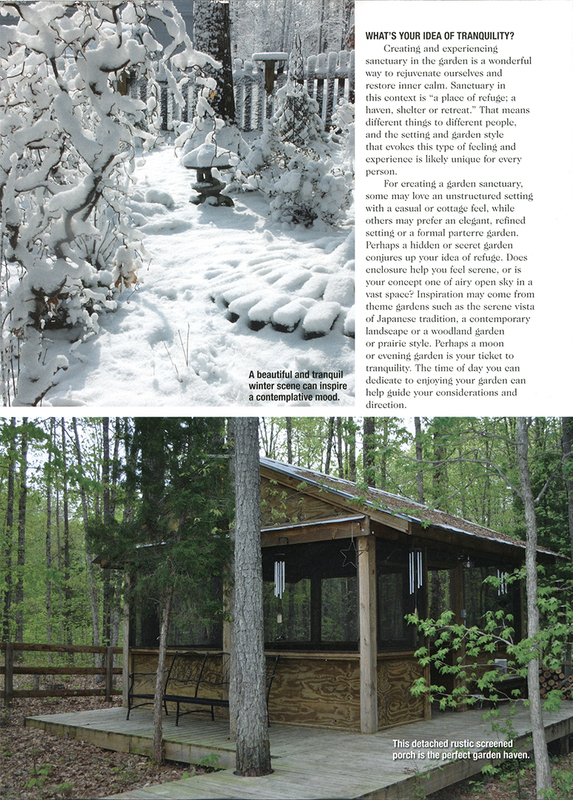 My intention was to call the mind back to the simple pleasures in life that are found in the garden and in nature, and to the things that really matter. 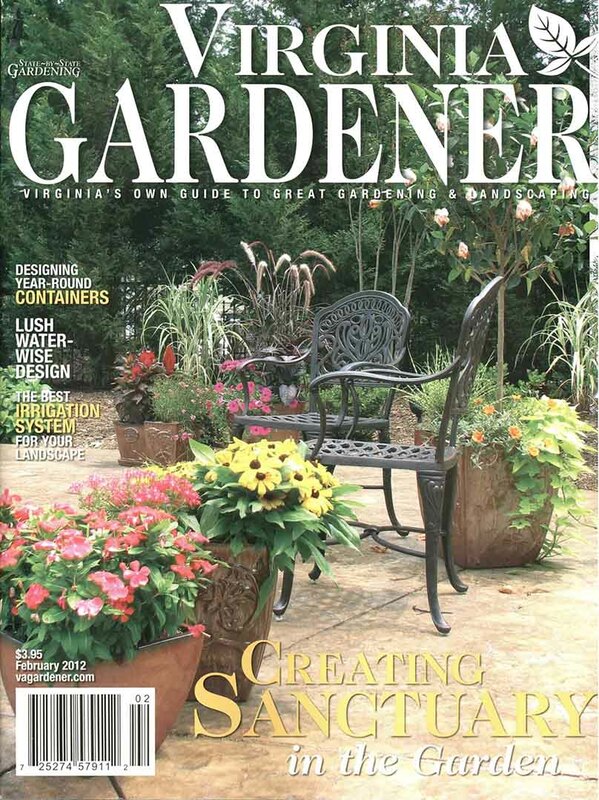 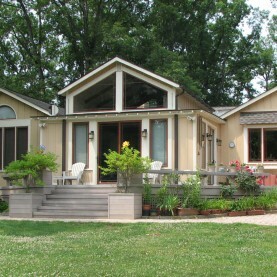 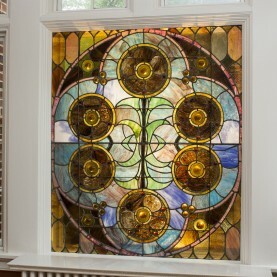 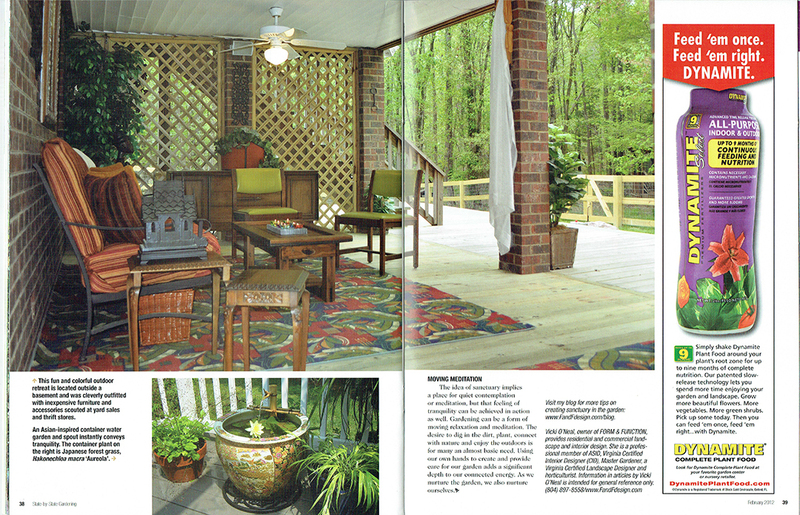 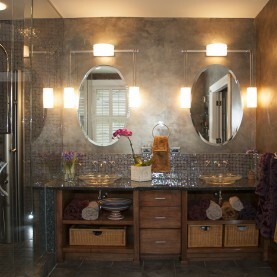 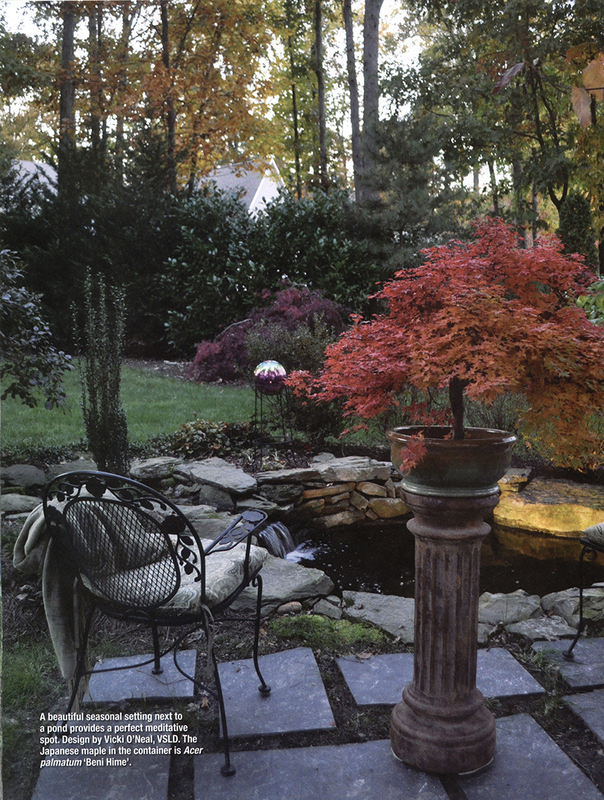 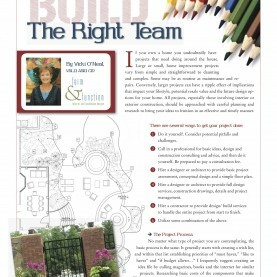 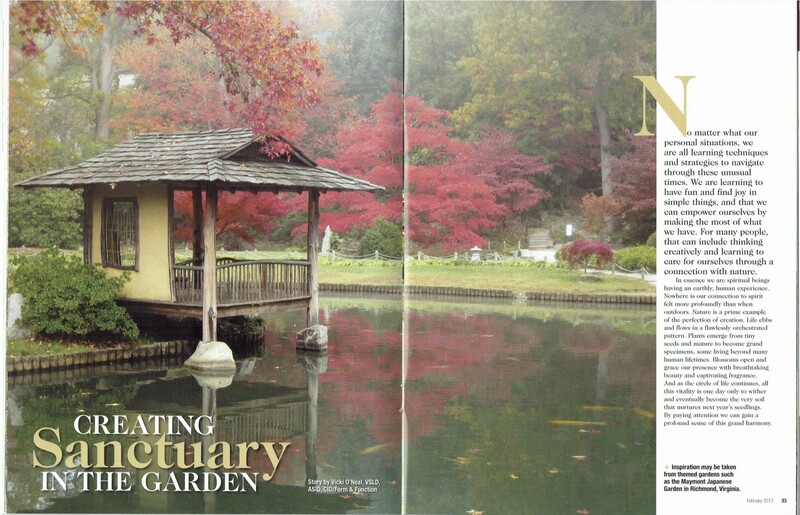 FORM& FUNCTION’s landscape design and photo made the cover of Virginia Gardener for February 2012 in addition to a seven page spread.